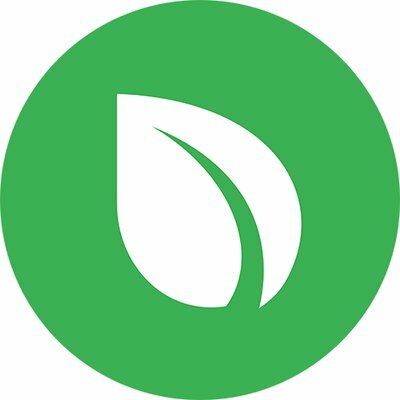 First of all, congratulations to the Peercoin team for getting the v0.7 release into good shape! During the final review process it was discovered that some minor fixes still need to be completed so the planned v0.7 release date and protocol switch date will be adjusted accordingly. Keep an eye on the team’s upcoming announcements. 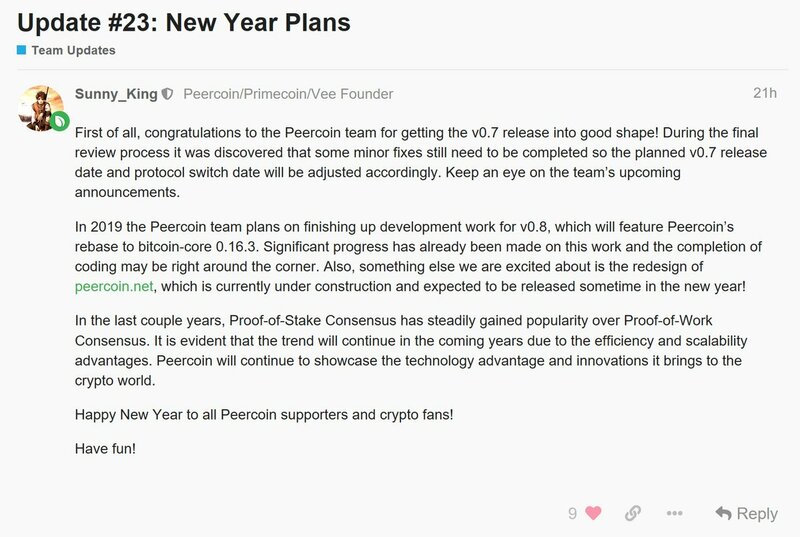 In 2019 the Peercoin team plans on finishing up development work for v0.8, which will feature Peercoin’s rebase to bitcoin-core 0.16.3. Significant progress has already been made on this work and the completion of coding may be right around the corner. Also, something else we are excited about is the redesign of peercoin.net, which is currently under construction and expected to be released sometime in the new year! In the last couple years, Proof-of-Stake Consensus has steadily gained popularity over Proof-of-Work Consensus. It is evident that the trend will continue in the coming years due to the efficiency and scalability advantages. Peercoin will continue to showcase the technology advantage and innovations it brings to the crypto world. Happy New Year to all Peercoin supporters and crypto fans! great to see Peercoin move forward.